"Try Lara's spaghetti squash pancakes. Get the recipe." Lara Metz, MS, RDN, CDN is a veteran dietitian and food lover, dedicated to improving the health and well being of others through nutrition and lifestyle counseling. Launched in 2015, the goal of Lara Metz Nutrition is to empower clients, improve their energy, and encourage them to have a healthy relationship with food. 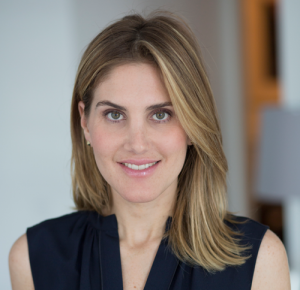 Lara prides herself on listening to clients’ strengths, weakness, and overall nutrition goals. Together they develop a customized nutrition plan that is both achievable and sustainable. Prior to launching Lara Metz Nutrition, Lara worked with her close friend and mentor, Keri Glassman, at Nutritious Life for ten years. She was the first full-time dietitian on staff to earn the Nutritious Life Certification. Lara holds a Master’s Degree of Clinical Nutrition as well as her RDN and CDN certifications from New York University. She is a member of the Academy of Nutrition and Dietetics, Greater New York Dietetic Association, Nutrition Entrepreneurs, Weight Management Dietetic Practice Group, and Women’s Health and Reproductive Nutrition Dietetic Practice Group. She has a Bachelor of General Studies from the University of Michigan. Lara lives in New York City with her husband and her ‘official’ taste-testers, her two daughters. Working with Lara Metz has been truly life-changing. The philosophy is less about a diet and more about changing the way one thinks about food and feeling good about making great choices. Of course the results are important and motivating too! I lost 20 pounds and feel fantastic!